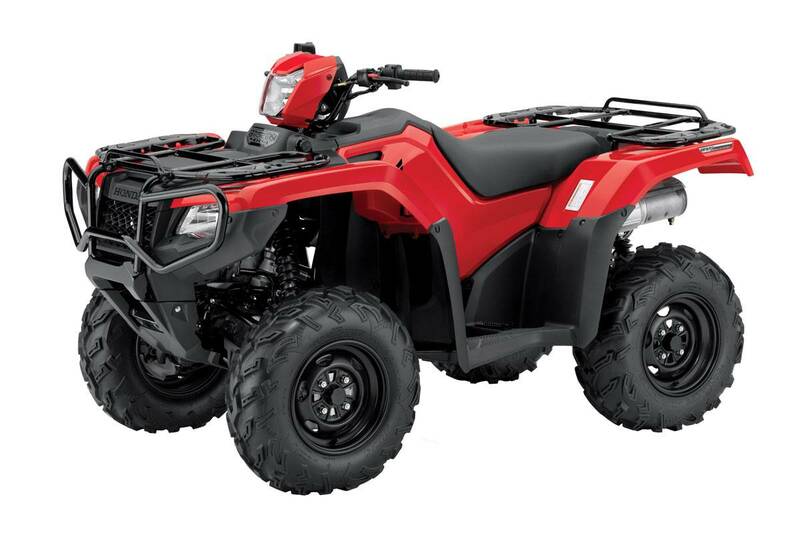 Excellent ride comfort, increased payload and towing capacity, more ground clearance and suspension travel, plus Electric Power Steering (EPS®) all add up to big fun that's more capable than ever. The addition of Honda's Programmed Fuel Injection (PGM-FI) system yields improved throttle response and smooth power delivery, and aids fuel economy for greater range. Honda TraxLok® 2WD/4WD system offers 2WD, 4WD, and 4WD mode with locking front differential to optimize traction. New independent double-wishbone front suspension delivers 185mm of travel. New independent dual-arm rear suspension design offers a more optimal shock ratio and increased suspension stroke for 215mm of travel. Adjustable spring preload featured on all shocks to allow suspension tuning to match varying loads and riding conditions. Larger 190mm dual hydraulic disc brakes up front and 170mm hydraulic disc brake in back for strong stopping power. All-steel front and rear carriers are larger and offer more load capacity: 45kgs up front, 85kgs in the rear. Flat plates on carriers facilitate loading and offer multiple tie-down points. Heavy-duty trailer hitch with 600kg towing capacity. New seat is thicker, softer and sport-griptextured for increased rider comfort and performance. New electronic digital meter display includes a Maintenance Minder system that signals when it is time for service.